"We have played three games in six days but we showed plenty of energy and no-one wants to give up their shirt. "They were both top quality strikes and we needed them and they came out fired up and that is what we had to match. "At any level players prefer to play rather than train. We have a sick bunch here and we keep patching them up and sending them out. "We've played a side today that are fighting for their lives for different reasons. It was never going to be easy and we knew we wasn't going to reach the heights of the other night. This was a completely different game and it was all about maybe just grinding out a result today. "I thought both goals were superb today. I thought Paul Parry's strike, we've got a camera behind it and he meant it, it was tremendous strike from him. A top quality goal and it was going to take quality goals to beat a very resilient Forest side. They set their stall out and it was up to us to try and break it down. We probably had a bit of luck with the ricochet for Paul to get his goal but he despatched it really well. Billy Davies tasted defeat for the first time as Forest manager today. "When I came to Forest I knew the situation but I'm not prepared to rush into the transfer market just for the sake of it although I do want to bring in a couple of players. 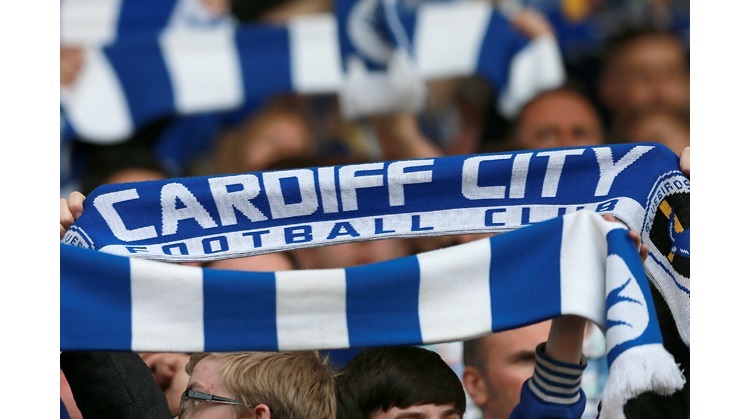 "Cardiff are a good side with strength in depth and they fully deserve to be chasing promotion."